SA’s construction industry is poised to support the country and continent’s infrastructure development needs despite economic uncertainty. South Africa’s construction industry remains key to support the country’s infrastructural development requirements despite the financial challenges of the previous three years, penalties relating to allegations of anti-competitive conduct and challenges in the industry, according to a report issued by PricewaterhouseCoopers (PwC). According to PwC partner Andries Rossouw, South Africa’s construction industry has undergone a significant financial decline following the 2010 FIFA World Cup. This is largely due to a decrease in margins achieved as cost pressures could not be passed on to clients due to depressed public and private spending as businesses recover from the effects of the economic decline. “However, it appears that the economic cycle has bottomed out, with a number of encouraging signs from the financial performance of individual companies, order book growth and public infrastructure commitments. However, there are still a number of risk factors that could affect the industry,” says Rossouw. PwC’s inaugural edition of SA Construction highlights some of the trends in the South African construction industry. The study’s findings are based on the financial results of the top 10 construction companies by market capitalisation on the Johannesburg Stock Exchange (JSE) for financial year-ends to June 2013. The construction industry is cyclical in nature. There is a stark difference between the performance of the Construction Index and the JSE all-share index. Not only has the industry been severely punished for its lacklustre financial performance in the down cycle but also because of public perception following the Competition Commission process, findings and settlement in 2013. However, there are signs of financial recovery on the horizon. The government’s infrastructure development plan and the ‘new’ Presidential Infrastructure Coordinating Commission are positive signs for future growth in the industry. After remaining fairly flat from 2009 to 2011, capital expenditure by public-sector institutions has increased by 11.7% since 2011, with total expenditure in 2012 amounting to R202 billion. The scale of this increase may be misleading, as new construction work only increased by 3.5% to R137 billion while plant, machinery and equipment purchased increased by 55% to R38 billion. 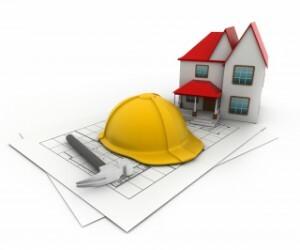 The report states that actual construction expenditure in 2012 was R7.3 billion below the 2011 forecast. For new construction expenditure, the difference was only R1.5 billion with the R6.5 billion and R8.5 billion underspent by municipalities and extra-budgetary accounts respectively partially offset by higher expenditure by public corporations (R11.3 billion) and National Government (R2.0 billion). The remainder of the difference is explained by delays in major renovation projects. The private sector, usually led by the mining industry, has also been a significant contributor to total construction expenditure. The growth in the order book during 2013 was 1%, as opposed to 16% for 2012. The secured order book now only covers 1.2 times current-year revenue as opposed to the 1.5 times of the prior year. Total revenue increased by 21% to R145.7 billion on the prior year. Operating expenses increases increased by 19%. The increase achieved takes into account the substantial Competition Commission penalties provided for. Staff costs make up 27.9% of total operating costs (2012:29.4%). This cost component increased by 13.5%, which is well below the construction revenue increase of 23% and therefore could indicate improved productivity or more likely margins improving to more sustainable levels. The effective tax rate was 33%, compared to 50% in 2012. When one excludes the impact of discontinued operations, then this rate changes to 36% (prior year: 48%). The higher effective rate is a result of the non-deductibility of the Competition Commission penalties, the inability to recognise deferred tax assets for losses made in some instances, and differential in tax rates in foreign jurisdictions. Rossouw says: “It is imperative that construction companies integrate risk and performance management to be more predictive in order to anticipate and plan for negative potential events.” The common key risks identified by construction companies include risks to transformation, health, safety and environmental sustainability, followed by growth and expansion, and compliance with the laws and regulations. The risk of reputational damage resulting from non-compliance relating to anti-competitive conduct was highlighted during 2013. In June 2013 the Competition Commission fined the major construction firms a collective R1.46 billion for anti-competitive behaviour, and inclusive tendering relating to projects concluded between 2006 and 2011. In addition, the low profit margin environment has placed additional pressure on strategic decisions relating to capacity, tender activity and pricing. Movements in foreign exchange also have an effect on the international businesses of South African construction companies, mainly in Africa and Australasia. The government’s delay in rolling out its infrastructure programme has resulted in delays in the award of tenders and available work. The construction industry, the government and trade unions are placing increasing focus on occupational safety. This is evident having regard to recent initiatives such as the Construction Health and Safety Accord of 2012. There is also an increase in awareness for the need for greater discussion of safety matters in companies’ annual integrated reports, increasing rigorous safety inspections by the Department of Labour, and safety stoppages. The construction industry is listed as one of the seven areas on which the South African Revenue Service (SARS) would like to focus in the next four years. SARS has stated that its research has shown compliance within the sector to be low. Therefore SARS has expressed its intention to conduct extensive compliance checks and integrated audits in the industry, paying particular attention to individuals and entities that are awarded government tenders. In addition, filing declaration and payment behaviour will be scrutinised for corporate income tax, value-added tax (VAT) and employee tax (PAYE). Attention will be paid to contractors and the various levels of subcontractors. According to Rossouw, the new landscape requires improved governance, adequate risk management practices, improved transparency and disclosure to the board, audit committee and stakeholders in respect of taxes. 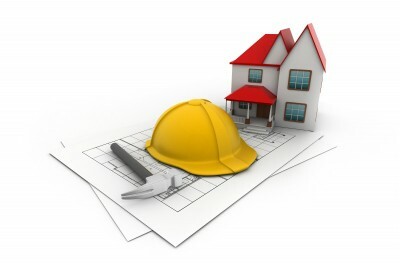 The construction sector adds significant value to South Africa and its people. Stakeholders in the industry include employees, their families, unions representing them, the government as regulator and custodian of the tax income for the country, investors, suppliers and customers. The monetary benefits received by each of these stakeholders are often summarised by companies in their value-added statements. The state received 5% (2012: 5%) of value created in the form of direct taxes. The reality is that the state receives significantly more if one takes into account the tax on employee income deducted from employees’ salaries and net indirect taxes like VAT. Rossouw concludes: “Construction companies need to focus more fully on integrating risk and performance management into their strategies. Executive management will have to steer their companies through the low margin challenges while recognising the impact on all stakeholders involved.